These are my personal reflections on my time in Israel / Palestine as well as my view of events connected to the situation since returning (as well as the occasional randomness that is me as I seek peace in a restless world). My journal from 2008 is here . I do not have comments enabled because I have seen too many of these types of sites taken over by back and forth bickering and just plain mean-ness. but I am opening up the guests page for comment in response to several requests. At this time, only site members can comment. It is easy to become a member - just complete the subscribe request. If you want to contact me directly (to set up a presentation, ask a question, make a donation etc) please use this contact page. I have added daily journal for 2011 here. I am no longer adding news items directly on this site. I have created an OFH fan page on Facebook for news postings. There is a link on the sidebar and it seems to work even if you are not a Facebook member (please let me know if you have a problem accessing the page. News items are continually added to that page which you will likely not see in the traditional US press. Thank you for taking a moment to like the page so I know that it is serving its purpose. "Well, in our country," said Alice, still panting a little, "you'd generally get to somewhere else -- if you ran very fast for a long time, as we've been doing." In Palestine you quickly learn that there is a different sense of time – Palestinian time. According to Western standards Palestinians are notoriously late, but they will always expect foreigners to be on time. If a Palestinian tells you “five minutes”, expect 15; if “15 minutes” expect 30; if “a half hour” expect an hour. If they say “tonight” – well - for more than a week now I have been without water, and every day I am told, “Tonight, Inshallah (God willing)”. This is “Pure Palestine”. If I understand correctly, someone forgot to fill our tanks (my apartment and one other are the only ones affected). Now they can’t come back until the next regular delivery. However, they don’t want to tell us that, so every day it is “Tonight, Inshallah”. Directness is not a value here. For someone like me, that believes it is important to “say what you mean and mean what you say”, this is very difficult. This is “Pure Palestine”. Palestinians live in the moment. They have learned that there is no other choice. Even in relatively quiet times, like now, they know it can change in an instant. In the States, in general - at least in the "mid-west", people don’t ‘go out’ during the week; if they do, they don’t stay out’ late – “It’s a school night”. Here people take every opportunity to enjoy life. Any night I can go out on the terrace and hear music and laughter (and yes, fireworks). This is “Pure Palestine”. The downside to living in the moment though, is that people here tend to not make plans. There is something positive about being spontaneous, but sometimes you just need to make plans. Since I left last year I have wanted to attend the commemoration of the massacre in Eilaboun (my post about Eilaboun is here). But, because I have not been able to make a solid plan to get there and back, it looks like I won’t be going. This is “Pure Palestine”. But, in the moment, Palestinians are incredibly generous. A visitor quickly learns to be careful in a Palestinian home when admiring something – you just may have no choice but to take it home with you. Once, a friend of mine admired a cane being used by an elderly man that she met on the street. He insisted she follow him home, where he then insisted she take his cane. This is “Pure Palestine”. If you ask a foreigner who has spent significant time here, what they love about Palestine, they may have a hard time answering you. But when two foreigners meet that have been here, they just understand. And when we are away, we feel the absence of a loving friend – one that infuriates us, and that supports us, and that disappoints us, and that embraces us. Within three minutes of posting on Facebook that I would be without water at least until Monday (and without clean clothes) I had an invitation to stay with someone until the water is delivered. This is “Pure Palestine” - gotta love it! This place is a dream. ; Only a sleeper considers it real. Where I am living, it is possible to pretend the occupation isn’t real, maybe for a moment, if I stay right where I am (and I don’t turn on the faucet - I have been without water for four days). Where I live and work, I can’t see the settlement; and I never see soldiers, if I stay right where I am . What I do see is a strange mix of first and third world development, and people trying to live a “normal” life. Who wouldn’t want that – a normal life - for their children? And it is the children I watch – the young ones don’t know there is something called an occupation. This is just their life. And we can pretend it doesn’t affect them, but only if they stay right where they are - in the bubble. Last week I stepped out of the bubble. Not far down the road is a refugee camp full of children, more than half the 4700 residents are under age 18. I met a little girl whose first words were not “mommy” or “daddy”, but “Jesh (soldier) – tet, tet, tet (the sound of a gun)”. The occupation is real for her, they killed her uncle. Last week, I stepped out of the bubble. Farther down the road – all the way to Jerusalem, I go to get the mail; a journey most Palestinians cannot take (I don’t know how they get their mail*) – a short taxi ride and then a bus gets me there. My American passport gets me through the checkpoint, but doesn’t find the post office for me. I will try again this week. It is like living as a scratch-off lottery ticket. A shiny silver veneer-scratch it, what do you find? No jackpot there, just another pretty piece of paper to join all the others (lots of others) littering the ground. But last week, I stepped out of the bubble. Down another road - I ventured out to pick olives – lots of olives picked, and lots of olives lost, to the creeping settlements and “the wall”. Then I found something else, what one young friend called moments of grace. There are so many of those here. From the taxi driver in Bethlehem that yelled out the window for our entire drive “I love America – I have an American VIP”, to the young man that helped me when I took a nasty tumble on his mountain – guiding each step I took, “hoon - halla hunak” (here - now there). And I shouldn’t forget Abed, my new friend in Jerusalem who rescued me and made me laugh when I was ready to give up on the day and the city. 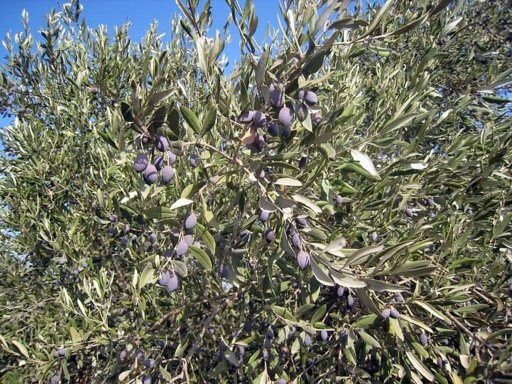 Tears and laughter, like M&M’s and popcorn, just go together here, under the olive trees – outside the bubble. **Note regarding mail service - I just found out that most of the bigger organizations have a PO Box in Jerusalem. Other people have friends there or that can travel there. There is a post office somewhere in Beit Sahour that you can get a PO Box at, but there is no street delivery. When the phone or other bills arrive to Paidia's office, an employee of that company brings it to the office. The address is literally "Beit Sahour, on YMCA street, by the Paradise Supermarket, Abu Ibrahim's building". There are also Palestine stamps (I should get some), but it takes about two months for mail to go anywhere from here. Self-doubt has been my companion this week. I have had the experience of telling my plan of writing an anthology of everyday resistance here in Palestine, the stories of real people to several other 'travelers'. All of them are either also planning to do something similar or knew someone that was. I began to think “who am I to believe that my voice has anything to add?” Then I thought about the focus of the book, Palestinians in Israel (a mostly ignored story) and the person that encouraged me to get serious about a book – he said that what he liked about what I wrote was that I don’t attempt to prescribe answers as so many do, that I let the questions stand. So, back on track I realize that that the “romantic edge” of being in Palestine during my last trips is not the same this time. I expected that the everyday-ness of actually living here would be like that (and I welcome it), just not so soon. It is very much a different experience than before. If I step outside of myself, I still have that "I am not in Kansas anymore" feeling. But, when I step back into myself, into the moment, it just feels like the most normal thing to be here. I do find that the local Palestinians treat me differently than before (more aloof). I was speaking with my new British friend, Luke, about this, and we agreed that we are a little disappointed that they did not seem to engage with us the same. Maybe we are different, having been here before, or maybe they are more cynical about us - I am not sure ..... I met an older American woman yesterday. She is leaving this weekend after a two week stay which she described as profoundly lonely. Then one of the Palestinian staff here explained that he no longer gets close to foreigners because they leave. I do in a rational sense, understand his sentiment, but we get invested as well (some of us even come back) and I think it is sad to miss any opportunity to connect with someone on a deeper level. When I was here last year I thought I had found an incredible friend in the most unexpected place, only to find that after I left he decided not to continue the friendship – it broke my heart. But I refuse to let that stop me from being open to new people coming into my life - People who will impact me at least as much as I impact them (and probably more) . I know that some would say it is a mistake for me to do so but, I told her I would try. It is a dilema because there is a sense of learned helplessness here. It is a fact that Palestinians are the most aid dependent population (50-80%, depending on location, rely on foreign aid). That combined with the very real difficulties imposed by the occupation can create a sense of “why should I try?”. This runs counter to the Western idea of individualism and “pulling yourself up”. But, I believe that I am my brother’s (or sister’s) keeper, as they are mine; and we should not pass up the opportunity to make even one life a little better. When you meet someone you know you have known before, or find a place you know you have been before, it can’t be explained – it’s a Knowing beyond reason, beyond understanding, beyond questioning, beyond knowing – you are just exactly where you are supposed to be. I have been in Beit Sahour for a week now. It has been a week of settling in and adjusting. I am still figuring out my new normal, and I will admit that my birthday brought a twinge of loneliness. Every time I come to Palestine, I seem to end up living at the edge of town. Each day I walk a little less than two miles to the office and then I am still at the edge of town. Being without a car is definitely going to be an adjustment. I don’t mind exploring places during the day, but it gets dark very quickly here and wandering in unfamiliar places at night is just not something I am comfortable with, anywhere. Tonight though, on the way home I passed by the apartment of three elderly women – one Moslem and two Christians living together. I have been walking past and saying good morning every day. Tonight, they insisted I come inside. They made me Arabic coffee which I had no choice but to drink (the real stuff, not the Nescafe and milk I have become fond of) so I am wide awake as I write this. They didn’t speak English and I am definitely not conversational with Arabic, but we did OK. It was a nice way to end the day. Last week I mentioned how things here are upside down, and it is really true. I go into the grocery store (there is a new one near-ish me) and I have no clear idea what to buy – shopping for one is something I have not done in a very long time. One of the first things you might notice is that while in the US processed foods tend to be cheaper than fresh, here it is the opposite. I bought seven nice size tomatoes and a bag of baby cucumbers (the ones Meijer charges $2.50 /4) for a total of about $2.50; but a can of green beans was approximately $1.75. The other thing that strikes me is the large amount of foods on the shelves that only have Hebrew on them. My experience has been that more people here speak English as a second language, than speak Hebrew (let alone read it). So it seems to speak to me of a certain kind of arrogance – when you have a captive consumer you really don’t have to care about communicating with them in their language. This week it also seems that there have been a lot of fighter jets flying very low. I asked if something was going on and was told “no, this is nothing, sometimes they rattle the windows to remind us they are there.” In spite of all the talk of a Palestinian State with Abbas going to the UN, it doesn’t change the everyday reality of occupation. But, people continue to live their lives the best way they can - right where they're supposed to be. Drama is to be expected when traveling to Israel / Palestine. You just have to hope that it is only the annoying variety (like a mosquito, rather than a wasp). Besides, a little bit of drama is good to wake us up! Mine started at the airport stateside. I thought I had plenty of time, several hours to get to the gate. I went to the lounge, wrote some email, got a sandwich, and strolled to the gate. I got there as the plane that had just loaded was about to shut the doors - The plane they had bumped me to, without telling me…. Last minute dash to my seat. Then we sat….and sat. There was “weather” near Philadelphia. In the end, we left at the same time my original flight was scheduled. Other than a luggage cart at Ben Gurion that hated me (seriously, I had to steer in concentric circles to move forward – believe me I had to refrain from using the more colorful Arabic I have learned!) the rest of my travel was pretty uneventful. The raw beauty of this place never ceases to make me pause. My apartment overlooks a valley - there is something very magical about listening to the call to prayer echo through the valley as the sun goes down. I have a lovely garden / patio where I can sit and relax. But, it does need a bit of clean up. So much here is like that - beautiful, but needs a little work. Nothing can be taken for granted here and everything you thought you knew is upside down. I was speaking with another staff member about how this place affects people. People either love it or hate it – there is no middle ground; but either way, no one leaves unchanged. You just have to let it ‘crack you open’. I hope over the course of the next months, I do not lose that feeling. Over the past couple of months I have read a lot of varying opinions regarding the Palestinian call for recognition as a full member state in the UN. Palestinians themselves were not uniform in support of the resolution. There are a lot of unanswered questions, things that I find very concerning, such as how it would affect the right of return for the refugees. But, last weekend I was speaking with a young Palestinian American who put the question into perspective for me. He was jubilant about the prospect that Abbas would present the request to the UN. This was not because he thought it would be successful, but the opposite. He agreed that, of course the US would veto any resolution. His point was that through the veto, it would be obvious that the Emperor wears no clothes. I have to say, even though I think he may be a little naïve, I was persuaded. The contrast between the speeches of Obama, Netenyahu and Abbas was fairly striking. Obama seemed so defeated, I almost felt sorry for him. Netenyahu did what he does best – remind us of just how very afraid we should be - he even spoke about 9/11. And Abbas gave the best speech I have heard him give. Honor and pride are very important in Palestinian culture, and I was very happy to see him reclaim them for the Palestinian people. Yes, it was just a moment. But, it was an important moment. A moment he will be remembered for – for saying “NO” to the US. It will be interesting to have a front row seat and I am looking forward to sharing what I see. Expectation - A strong belief that something will happen or be the case in the future. Expectation gets a bad rap – We are told that expectation breeds disappointment and some people rebel at the thought that others might have expectations of them (even though they have their own expectations). There is nothing wrong with having expectations; they are like the skeleton that moves us through life. I expect the sun to come up tomorrow, I expect cars to stop at red lights, I expect strawberries to taste good and I expect to be treated with kindness and respect. There is nothing wrong with that, but we also have to understand that sometimes it does not happen that way. The sun may come up unseen because the day is filled with storms, cars sometimes run red lights and create accidents, strawberries are sometimes rotten, and sometimes people are cruel. What really matters is what we do next. I can’t give up on the sun, or driving, or strawberries (never strawberries), and I certainly cannot give up on people (even though, once in a while, in those darker moments I think I might). On September 21 Mamoud Abbas is expected to seek UN recognition for a Palestinian State. What happens after is anyone’s guess, but I don’t think anyone expects the resolution to get past a US veto. However, much like I cannot give up on people, Palestinians cannot give up on Justice (even though, once in a while, in those darker moments, some might). The 21st is also the International Day of Peace and the Global Day of Listening. So when you go to sleep Tuesday night, add a prayer for Palestine, and while you are at it, a prayer for Israel too. In 10 days I expect to leave for Palestine. I expect to see old friends and meet some new ones. But what else will I find? – I don’t know what to expect….other than the dawn. I have done all that I could...To see the evil and the good without hiding...You must help me if you can….Doctor, my eyes...Tell me what is wrong...Was I unwise to leave them open for so long? Do you remember? Where you were? You know, that day….9/11. The question is everywhere right now. I know I am supposed to feel a part of this nationalized sense of grief….but I don’t. I understand the shock many felt that day – the US is invincible after all (at least that is what we were told). And yes, many people, all sorts of people, died that day – a microcosm of the US; wealthy people, poor people, blue collar, white collar, whatever collar, young, old, Asian, Hispanic, white, black, Atheist, Christian, Jew, Moslem, and so many more. When I see the unending commentary, and the heart wrenching biographies play on television I do feel sad – for the victims and their loved ones, not for me. This is their tragedy, not mine. I know that not only are we mourning the loss of lives that day, but also a sense of entitlement (that we weren’t really entitled to). But instead of learning and growing stronger from that, the US had a temper tantrum, stomping around the globe to “make them pay”. In the process many, many…many more people (mostly brown people) lost their lives as well. Did it work? Are we really safer? Do we feel better? It doesn’t look like it from here. Some folks see things not everybody can see. And,once in a while, they pass the secret along to you and me. The issue of faith has been prominent this week. A group of Atheists and Agnostics put up a billboard near me that sparked a lot of discussion. It suggested that one could be a good person and live a good life without believing in God. It is a pretty radical statement in this area. I have also been confronted several times with statements aligning Christianity with the instruction to “Stand with Israel”. And as the Quaker faith is a “peculiar” faith, a number of people have asked me “What exactly, do Quakers believe?” Anyone that has ever asked, or attempted to answer that question knows, there is no one straight-line answer. I do my best, explain it is not so much about what we believe, but it is about who we are and what we do. However, one of the beautiful (and hard) things about the Quaker faith is that no one person can define it for other Quakers. Something sacred burning in every bush and tree. We can all learn to sing the songs the angels sing. Yeah, I believe in God, and God ain't me. Stood on mighty mountains and gazed across the wilderness. Never seen a line in the sand or a diamond in the dust. I had a conversation once in Nazareth with someone that was wrestling with their own faith. He spoke about the faith of the worshippers there (we were at the Church of the Annunciation) as superstition. I don’t believe he was referring to their belief in God in general, but of the ritualistic way of expressing their faith (yes, there was a holy water drinking fountain). Although I don’t believe what they believe, I can see how in their (very scary) world, faith in those rituals can be comforting.T he problem with faith as I see it, is that too many people use it as a weapon. Somehow my faith (or lack, of in their minds) is a personal assault which they must confront. And as our fate unfurls. Every day that passes I'm sure about a little bit less. Even my money keeps telling me it's God I need to trust. And I believe in God, but God ain't us. I saw the same when I visited the Western (Wailing) Wall in Jerusalem and the Ibrahimi Mosque in Hebron. The rituals themselves are different, but yet very similar. And they all serve the same purpose - to create a sense of connection with God. Quakers don’t (in general) put much stock in rituals, though I have often said that I think sometimes Quakers can be quite ritualistic in their “non-ritualism”. God,in my little understanding, don't care what name I call. Whether or not I believe doesn't matter at all. A Jewish friend once said to me “I am not concerned about saving the State of Israel. I am concerned about saving Judaism.” She is certain (and I agree) that the politics of Zionism are corrupting the faith. But, it is not so different in Christianity and in Islam. It is very sad to me that something as profoundly personal as faith is so skillfully used to push political agendas. When we feel threatened, we so easily forget that the essence of faith is not to support a particular politics, but to look outside ourselves and create community in this world we have been given. That every day on Earth's another chance to get it right. Let this little light of mine shine and rage against the night. Maybe someone's watching and wondering what I got. Maybe this is why I'm here on Earth, and maybe not. But I believe in God, and God is God. I was there to pass out fliers for a conference about the Israeli / Palestinian conflict . After I finished passing out fliers I joined my friends that were protesting. One told me of a confrontation he had with a Christian Zionist. This person broke his sign and grabbed the fliers he was passing out, and then threw them away. This kind of behavior never ceases to dumbfound me. If you are so sure in your point of view, you do not need to shut down other views. Afterwards I had dinner across the street with a friend. She is Palestinian from Ramle. She was an infant in 1948 when she and her family were forced to leave Palestine as the State of Israel was founded. The restaurant where we ate is owned by Palestinians. As we were eating, the Rabbi, who moments before had railed about the need for unquestioning support of Israel, brought his family in for dinner. My friend challenged me to “stick it to him” and give him her flier about the occupation. I tried to explain to her that I am not really a stick it to him kinda gal. I think she was disappointed. Some people are good at direct confrontation, not me. I’m the person that will say “let me tell you a story”. The Rabbi was there with his young daughter as well, and if there is one thing I understand about most fathers, it is you do not challenge them in front of their children. I do, however, want to tell him the story of the woman who had just served him. How what she heard him say created so much pain for her; How just minutes before she waited on him, she had tears in her eyes telling me some of her family’s story. When dealing with the Israeli / Palestinian conflict I find there are three kinds of people. The choir are people who already believe what I believe. I don’t need to convince them, but it is good to spend time with them to recharge myself. The loyal opposition will never believe what I believe. Confronting them takes a certain personality and skills I do not possess. In my opinion, they are there so that we waste our time and energy. Their goal is that we never get to talking with the third group - Those that are their ‘soft’ supporters. These are the people most likely to notice when the things the loyalists say do not match reality. This is where the small cracks in their armor can be seen. But if you go at these people with full force confrontation, they will fortify that armor and move closer to the loyalists. Talking to these people is my strength because, while my heart breaks for Palestine, I also feel an honest compassion for Jewish Israelis, and yes, even the settlers. I have witnessed first hand how the children are trained to hate Palestinians and how they are manipulated by their government (“Forgive them, they know not what they do” ). Many really are desperate and damaged people. However, don't confuse that compassion for agreement. Not only would “sticking it to him” not have worked, it wasn’t in my heart. Just like a baseball team has many different positions, so does this struggle. Some are great pitchers, others catchers and yet others are great fielders; and it is not necessarily a good idea to have your catcher pitch. To be the most effective member of this team I can be, I need to understand where my own skills lie and develop them., I am still, however, sad to have disappointed my friend. So much can be healed in this world with just a start. Sure it’s messy - Sure it’s hard - especially after a long estrangement. But there was never anything, worth anything, that came easy. Whether it’s between two people or between nations, it has to start somewhere - so why don’t we just start with hello (let me tell you a story).